It Comes at Night is a post-apocalyptic horror film from director Trey Edward Shults. This A24 film stars Joel Edgerton, Christopher Abbott, Carmen Ejogo, Riley Keough and Kelvin Harrison Jr. Listen as Alex, Jesse and Garrett talk about the film, the visual aspects, the story and if they would recommend a watch! Will you be able to trust anyone but yourself? Will we find out who touched the door? Do the guys agree on their rating of the film? Will they figure out exactly what it is that comes at night? Is it a nocturnal emission or something much more sinister? You’ll just have to tune in to find out. 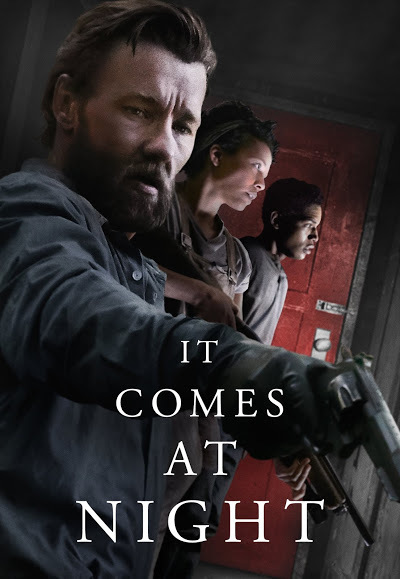 It Comes at Night is available on Amazon Prime streaming and Blu-ray. Also, a big basement shout-out to Eric Hutchinson for permitting us to use a clip of his song “The Basement” as our intro. Be sure to check out his site erichutchinson.com and his various social media hot-spots for all his news and music.